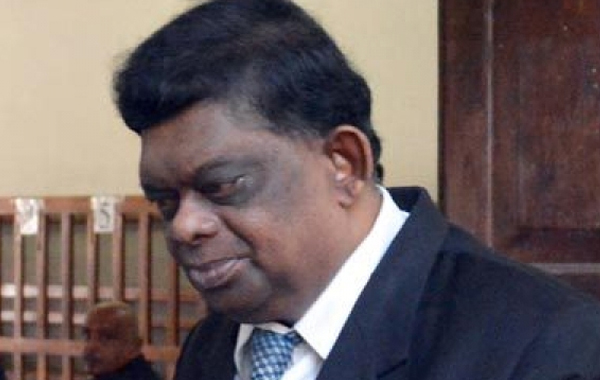 Retired Supreme Court Judge Sarath De Abrew died from injuries sustained in a fall from the upper floor of a building. He was rushed to the Kalubowila Hospital, but was pronounced dead on arrival, hospital sources said. The Kalubowila Coroner is expected to inspect the place from which he had his fall. The former Supreme Court Judge was facing charges for committing grave sexual abuse on a domestic aide, on or around June 16 last year, in Ratmalana. The Attorney General had filed an indictment against him in the Colombo High Court. The case was fixed for trial at the Colombo High Court, in May. Meanwhile, Mount Lavinia Magistrate had referred the magisterial inquiry against the former Supreme Court Judge for allegedly causing voluntarily hurt to a domestic aide in 2015, to the Mediation Board last month. It is really pathetic to here this incident. He may couldn't bear the Pressure..